The Economics Undergraduate Counseling Office regulates the policies and requirements for the Economics and the Business Economics majors. Our office also coordinates the departmental events for prospective and current students in the Department, including the new student advising sessions and commencement. Finally, we administer special departmental programs and scholarships. Check out our Facebook page – “UCLA Economics Counselors” – for updates to our daily counseling hours. If you can’t visit us in 2263 Bunche Hall, the MyUCLA Message Center is the next best way to communicate with us. If you have a UCLA logon ID/you are a current UCLA student, please submit your inquiry here. If you do not have a UCLA logon ID, please submit your inquiry here. Education: Bachelor of Arts in Psychology from UC San Diego; Master of Arts in Educational Psychology from UCLA. 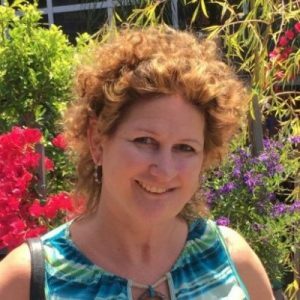 About me: I have worked full time as a Student Affairs Officer at UCLA since 1997, in multiple offices on campus, including the Linguistics Department, the School of Public Health, and the School of Theater, Film and Television. I joined the Economics Department in 2016. I enjoy helping current and prospective students discover their path and with understanding which office to go to for assistance at UCLA. On a personal note, I enjoy zumba, trying different cuisines, watching film and tv, and hanging with my husband and my two dogs (shih tzus). Education: Bachelor of Arts in Journalism; Master of Science in Counseling (College Student Services). About me: After deciding against becoming a sportswriter and then working in a variety of fields, including in purchasing for a cruise line and public relations, I pursued graduate education in counseling so that I could help students to become aware of the many options that they have, academically and career-wise, and to help them to succeed. I have worked at both community colleges and at UCLA. Outside of UCLA, I enjoy college football (the Bruins, in particular), the outdoors, traveling, and exploring all that Los Angeles and Southern California has to offer. Education: Bachelor of Science in Biochemistry and Cell Biology from UC San Diego; Master of Arts in Postsecondary Educational Leadership with a Specialization in Student Affairs from San Diego State University. About me: I am excited to work with UCLA Economics students, who are intellectually gifted and come from diverse backgrounds. What I enjoy most about my job is helping students navigate their way through college, seeing them walk across the stage at commencement, and ultimately achieve their academic, professional, and personal goals. Outside of UCLA, I am excited to explore all that Los Angeles has to offer, in particular the many unique restaurants and food options. Finally, I love watching sports, especially the San Francisco Giants. A goal of mine is to visit all 30 major league baseball stadiums, and I am currently 3/4 of the way there. Education: Bachelors of Arts in Political Science from UC Merced; Master’s in Education in Student Affairs from UCLA in Spring 2019. 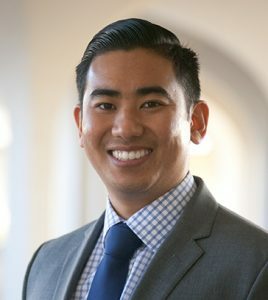 About me: While an undergraduate student at UC Merced I worked for the Office of Admissions and the Success Mentor Program where I developed a passion for student affairs. I am now here at UCLA to pursue a M.Ed. in Student Affairs and further myself as a student affairs professional. I am excited to be able to work with and learn from the Economics department and their students. Outside of UCLA I enjoy watching movies, particularly the Marvel franchise, and spending time with my family.